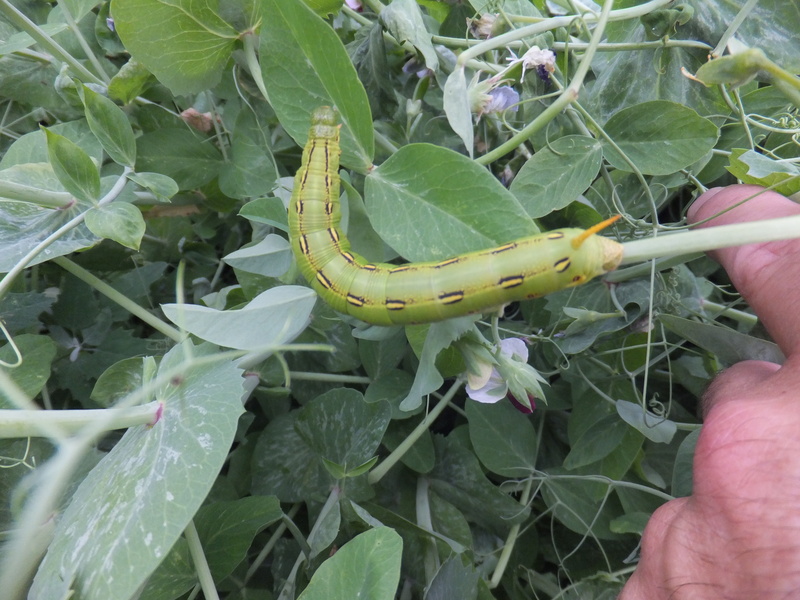 The forage peas continued to grow, reaching over four feet in height. They are flowering now and producing pods. 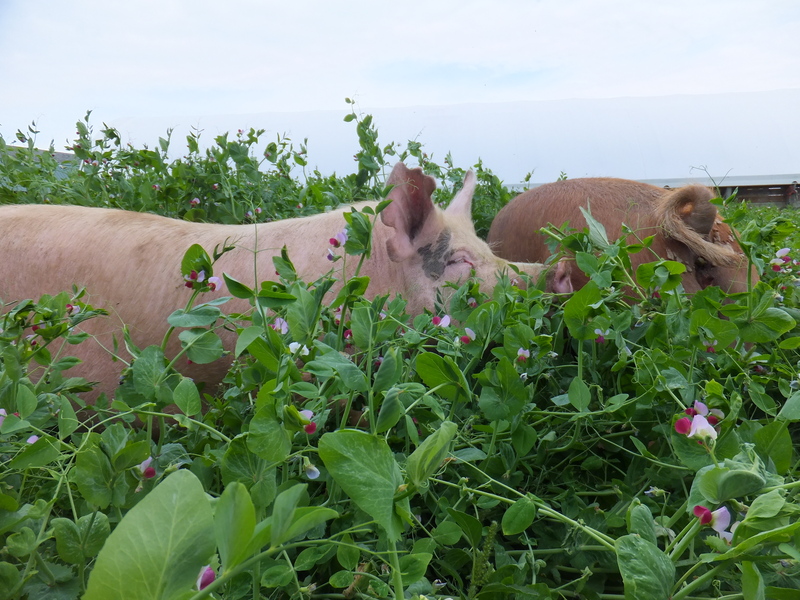 I snapped these photos when I turned the sows into fresh pasture. The caterpillar in the bottom photo is a big one, and the second one I’ve seen, so I decided to try and identify it. It looks like its a White-lined sphinx caterpillar, (Hyles lineata), commonly known as the Hummingbird moth. This is exciting to me because I’ve only seen a Hummingbird moth once in my life. They’re really cool because they look like a hummingbird, until you watch their movements and realize they’re too slow to be a hummingbird. I read a book this winter, “Attracting Native Pollinators,” by the Xerces society. It’s all about what we can do to improve the habitat for our native pollinators. In a future post I plan to share some of the fun plantings I’ve done this spring. This entry was posted on Monday, June 30th, 2014 at 12:02 am and is filed under Curious hogs, Curious nature. You can follow any responses to this entry through the RSS 2.0 feed. You can leave a response, or trackback from your own site. I admire your curiosity and sense of wonder. You are probably never bored–there is so much to see and learn on your farm! Great picture of the porkers. Look foward to reading your post on pollinators. Chris, yes, but there is more than enough to see and learn wherever you find yourself. I remember fondly the special places I found in Platteville and Madison Wisconsin, and Ames Iowa, (other places I have lived). Did you ever eat velvet leaf seeds ? I don’t think there is a leader at Madison primitives anymore , he resigned I’m going to do a herbal medicine class through the Madison peppers meet up group. I did a wild edibles class last month . I might do another yet this summer.